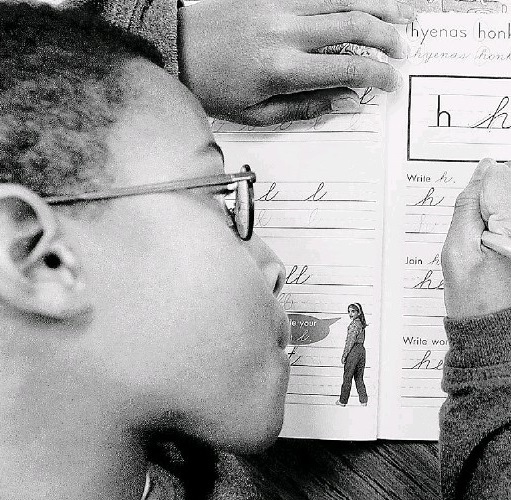 Too many educators believe that handwriting is obsolete. It's a vital part of helping young brains develop properly. According to Roessingh, printing creates memory traces in the brain that assist with the recognition of letter shapes. Typing on a keyboard does not have the same impact. In other words, handwriting helps students move information from their shortterm memories into their long-term memories, while typing does not. The importance of automaticity is strongly supported by cognitive psychologists. As Drs. Jeroen van Merriënboer and John Sweller note in the June 2005 edition of Educational Psychology Review, our working memory has a very limited storage capacity. In order to make proper use of it, we need to transfer information to our long-term memory. We then organize this information into various “cognitive schemata” that help us solve more complex problems. Thus, students who handwrite fluently can engage with more challenging text than students who still struggle with basic vocabulary because more information has been transferred to their long-term memories. Learning does not come automatically. For most students, it is genuinely hard work as our brains are not naturally wired for the foundational skills of reading and writing. To achieve mastery, these skills need to be explicitly taught, regularly practised and constantly reinforced. Learning how to write individual letters and words by hand, and doing so fluently, is essential to entrench reading as an automatic skill. Far from being obsolete, handwriting remains an important skill in the 21st century and beyond. Paper and pencil may not be as flashy as the latest handheld tablet, but it will help students learn a lot more. Sometimes the simple things really do work best. Many progressives do not agree, but the evidence proves them wrong.